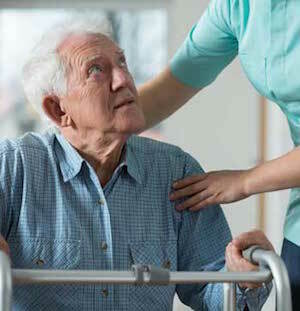 The Toledo bedsore injury attorneys of Nursing Home Law Center LLC firmly believe that it is the right of every nursing home patient to receive dignity, respect and care at a level that ensures his or her safety and comfort. Pressure sores are most often the result of administrators refusing to staff their facilities adequately to suit the needs of those they promise to serve. Understaffed nursing centers lack the resources or number of caregivers to truly deliver care that meets reasonable expectations and we are determined to make sure that negligent facilities are held to account for their failure to provide basic treatment and preventative measures. Toledo’s population of almost 280,000 makes it the fourth largest city in the State of Ohio. Its populace is diverse from both an economic and cultural standpoint and seniors represent a significant portion of the community— making up over 12% of the total population. The Baby Boomer generation is now on the cusp of retiring in full force, making it likely that seniors will represent an even greater portion of Toledo’s population in the near future. The Area Office on Aging of Northwestern Ohio helps aging residents find senior centers close by that offer recreational activities, educational courses, social events, support and assistance. Most centers also provide free health screenings, counseling services and volunteer programs to address the needs of seniors who have limitations due to vision problems or physical decline so that they might be able to delay the need for entry into a nursing facility. There are 53 nursing centers located in the Toledo area, and only 16 of them have received a five star rating from Medicare. This makes it highly probable that the nursing home you are considering has been cited for some concern in the past and may not be suitable to care for your loved one. Discerning which centers are worth your attention may be difficult if you lack the right investigative tools. Our Toledo pressure sore lawyers believe that the Medicare nursing home compare tool is the most comprehensive and easy to use tool available when narrowing your search for a nursing facility. It allows you to compare multiple homes at once, grades each facility on areas such as quality measures, staff size and health inspection records and will provide details on the fines that have been levied against the facility over the last several years. To use this tool, you can visit https://www.medicare.gov/nursinghomecompare. Preventing or treating bedsores is rudimentary and only requires the basic amount of care you would expect all patients to receive, regardless of how serious or urgent their concerns are. By assessing patients’ health risks, adjusting their resting position regularly and examining them for signs of developing sores, caregivers can prevent pressure ulcers from developing or progressing. When we see that a patient was allowed to suffer while his sore continued to develop into an open wound which became infected, we immediately wonder whether there are other patients being mistreated and whether other basic needs are being ignored. There is no question in our mind that the unabated advancement of pressure ulcers is a signal of systemic neglect and understaffing. It is only in minor and extreme cases that such injuries could be explained otherwise. This is why we are committed to prosecuting these nursing facilities in the hope that it will force them to hire enough staff members to ensure the quality of care improves. If your loved one has been mistreated, Nursing Home Law Center LLC can help you make sure that he or she receives the compensation needed to cover the cost of treating his or her wounds and the cost of relocation to a nursing home that will provide the top quality care you expect. Contact us today to speak with an award winning Toledo bedsore injury attorney so that we can review the details of your case and discuss your legal options.